The iStar WXT 204-6LT looks a beast, but is surprisingly lightweight and portable, despite being a metre long. “My God! It’s full of stars!” proclaimed David Bowman, as he approached the monolith in the classic science fiction movie 2001: A Space Odyssey. That’s the feeling I had whilst experiencing the new iStar WXT 204-6LT rich-field refractor under a dark, country sky. Before I elaborate on this, it is important to define what ‘rich-field observing’ is all about. 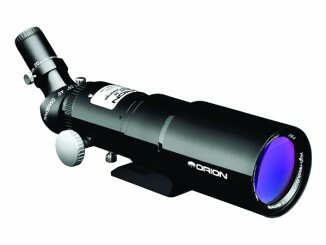 Small-aperture telescopes with short focal lengths are excellent for low-power, ultra-wide-field observing. 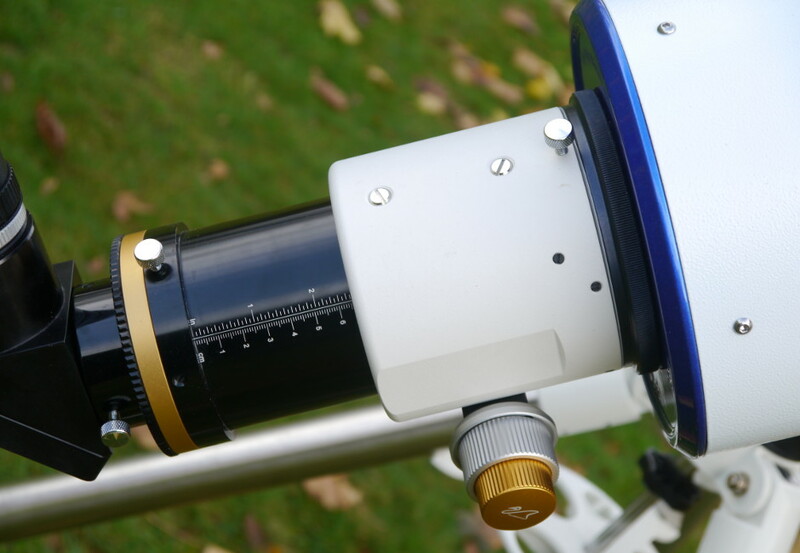 In contrast, large aperture, long focal length telescopes are the instruments of choice in the pursuit of high resolution targets such as the Moon, planets and double stars. Rich field occupies the niche in between the two. 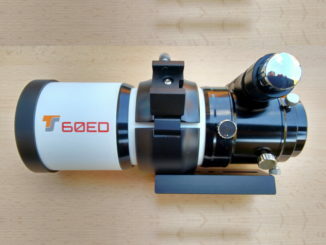 The ideal rich-field telescope will have a decent aperture and present moderately large fields of view in order to probe the depths of the deep sky at intermediate image scales. Arguably the ideal rich-field telescope will present unobstructed images over a field of view of approximately two degrees. While a fast (f/5 or faster) Newtonian of 200mm (eight-inch) aperture or more is a good rich-field telescope, an achromatic refractor of similar specifications can do considerably better, owing to its lack of a central obstruction and maintenance, as well as its provision of a wider true field. Enter the iStar WXT 204-6LT. The optics are served by a first rate dual-speed focuser. 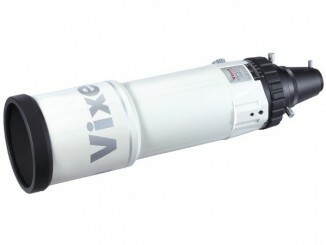 The WXT 204-6LT comes with either a two-inch focuser, or a 3.5-inch version. The instrument arrived safely, having travelled by courier from the Czech Republic to the UK. The beautifully finished CNC-machined tube is powder-coated in white with a fetching opal blue rim. It features a fully retractable dew shield with a novel magnetic dew cap. The instrument was properly blackened and baffled internally to minimise stray light and maximise contrast. 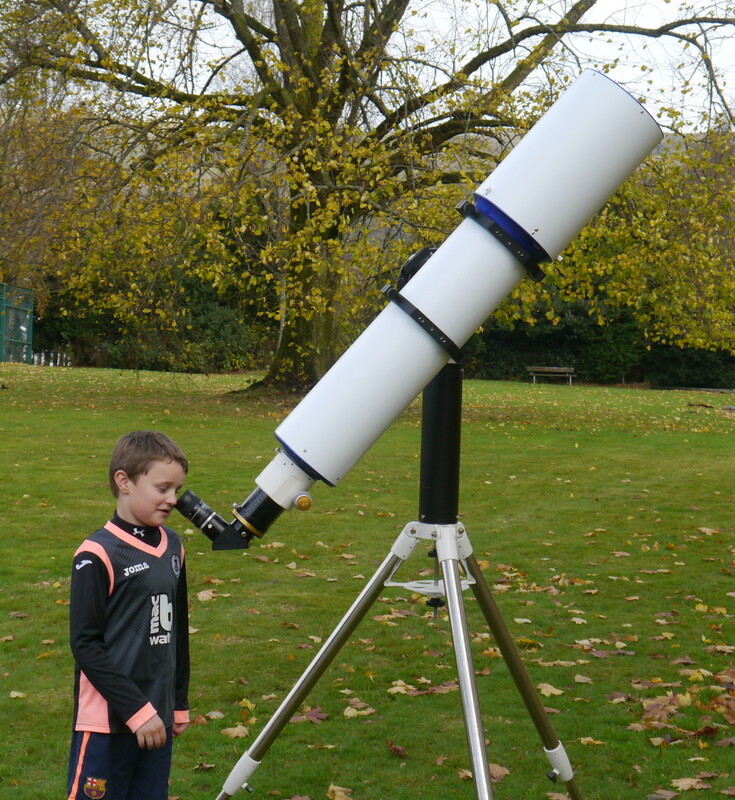 Tipping the scale at just 12 kilograms (26 pounds), excluding rings and focuser, it can be deployed on a fairly lightweight mount. Indeed, all of my tests were performed on the strong but ergonomic Sky-Watcher SkyTee II alt-azimuth mount. 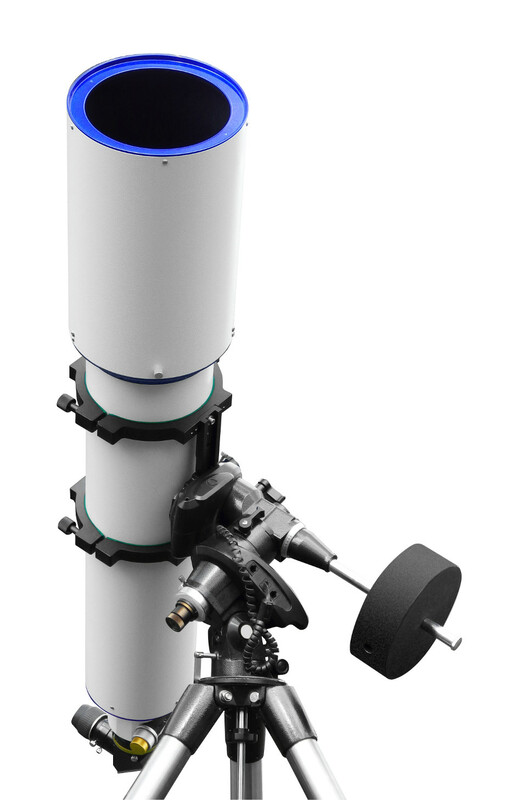 The optical tube can be mated to a variety of quality focusers and I elected to use a William Optics dual-speed rack and pinion model, which arrived separately to the unit. On paper, the instrument is simplicity itself; a 204mm f/5.9 air-spaced achromatic doublet. Collimation was checked and shown to be spot on. A telescope with these specifications does throw up a considerable secondary spectrum but I was genuinely surprised how well it appeared to be controlled during daylight tests. Indeed, while the design is to be used optimally at magnifications at or below 50×, I found that the views were quite sharp even to 150×. Daylight tests were followed up by star testing at night and here again, the telescope was a pleasant surprise. At 150× in-focus star images were reduced to nice pinpoints and showed good symmetry both inside and outside focus. Bright stars were surrounded by a prominent halo of secondary spectrum that I found to be quite striking. 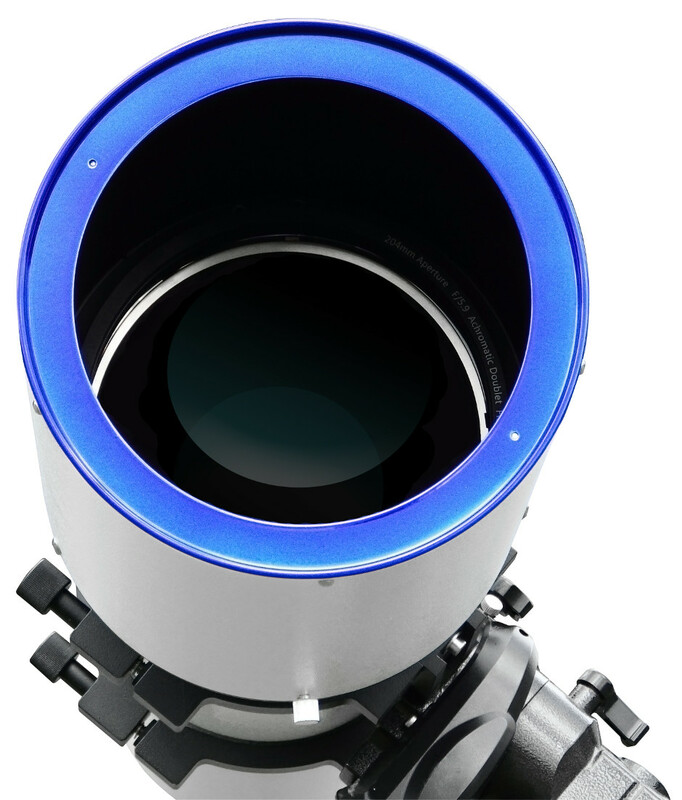 Any telescope with these specifications will display sphero-chromatism when pushed to excessively high powers and this optic was no exception. Finally, for the record, at 300×, I detected a trace of coma in the Airy discs of fainter stars. All said, I consider this to be an excellent result for such a fast achromat and a testimony to the skill involved in the execution of its design. With testing over, I was free to enjoy this large aperture refractor, visiting many targets over the course of several weeks. Because an f/6 doublet like this displays some field curvature, it pays to use better corrected oculars to maximise the viewing experience. That said, using a 40mm Erfle eyepiece delivering a power of 30× and a field in excess of two degrees, I was deeply impressed to be able to fit the entire Pleiades cluster into the field of view! Whereas smaller rich-field instruments typically show a few dozen members, you will get in excess of 100 or more with the WXT 204-6LT and spotting the faint reflection nebula around Merope is easy. Moving to the celebrated Perseus Double Cluster, the view at 50× was quite simply stunning, with mounds of stars of varying glory and colour on display, etched into a coal black sky. Views of the open clusters M36, M37 and M38 were equally impressive at powers between 50× and 100×. At 30×, I enjoyed what was for me the finest view of the great spiral in Andromeda (M31) I have personally witnessed in any telescope, its very bright core and vast spiral arms being clearly presented in high contrast. Andromeda’s satellite galaxies M32, M110 and NGC 185, as well a few fainter members, could be made out in a studied glance. A view from the back of the tube. Turning to higher resolution targets, I enjoyed excellent views of both the globular cluster M13 in Hercules and the Ring Nebula (M57) in Lyra at 150×. At this power, the former was fully resolved to the core, the view being more representative of what you would expect from a good 250mm (ten-inch) Newtonian. Messier 57 was a gloriously bright smoke ring in the sky. More than pleased with its performance on these objects, I turned the instrument towards a few bright, but challenging, double stars. To my surprise, Epsilon 1 and 2 Lyrae were quite cleanly resolved at 150×. Tougher still, I trained the instrument on delta Cygni and was impressed to have glimpsed the companion. The challenging triple, iota Cassiopeiae, revealed two of its members, but the closely separated A/B components remained elusive at higher powers. This is not a fault in itself, as these targets fall well outside the remit of this super-fast achromatic doublet. 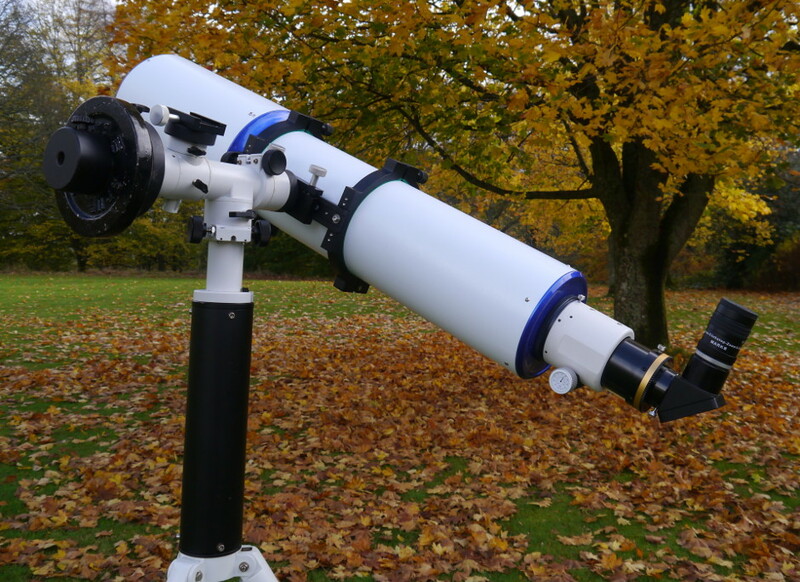 All in all, the WXT 204-6LT is the rich-field observer’s dream ticket, combining high quality optics in a beautiful, low mass, low maintenance telescope that is reasonably portable. This means it can be used on fairly lightweight (read inexpensive) mounts. Compared with similar models designed in the past by APM, this fast eight-incher represents a saving of a few thousand dollars but with no compromise on optical quality. Can’t say better than that! Neil English is author of Choosing and Using a Refracting Telescope.